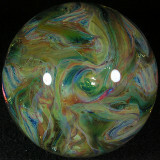 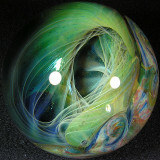 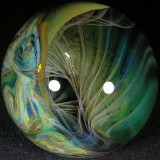 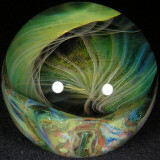 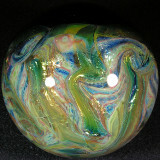 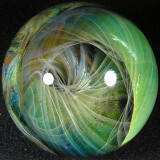 This is another of those fantastic Yaun marbles with the twisting silver fume over the gold! 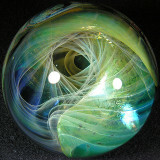 Check out the web-like effect which is layered over the fuming below it. 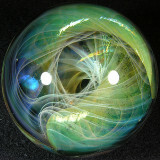 Super fun to twist and explore with some good light - so many turns and caverns inside there. 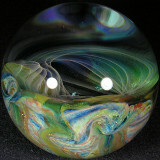 Beautiful planetary backside on this one, a fun mix of shiny silver and gold.